For patients with retroperitoneal sarcoma, surgery is still the only chance for cure. However, these are not straightforward operations at all. Because of their large size and the limited space in the rest of the abdomen, these tumors often touch, compress, displace or outright invade major organs and blood vessels. This greatly magnifies the risk of the operation such that most surgeons are reluctant to take on these cases and, rightfully, refer to specialty centers. To remove the tumors completely, we often have to simultaneously take out multiple organs and, sometimes, major blood vessels. As a result, these surgeries can involve multiple teams; take a long time (sometimes eight hours or more); and, for the surgeon, can be quite demanding both mentally and physically. After recovering from such a challenging surgery, my patients often ask me, “Am I cured now?” I can only imagine the emotional roller coaster they must experience when, knowing what we went through and seeing the remarkably long abdominal scar, we necessarily discuss the fact that even with the best surgery at the best specialty centers, these cancers have a notorious reputation for coming back. Radiation and chemotherapy sometimes lower this risk, but given the rarity of this disease, we currently do not have enough information to know if these nonsurgical treatments are truly effective. Ultimately, when, not if — for most patients, unfortunately — the beast returns, and if it has not spread, we are back to surgery, with each subsequent operation harder and riskier than the last. It goes without saying that we need better surgical and nonsurgical treatment for patients with retroperitoneal sarcoma. This means better understanding of the disease on multiple levels. Knowing the beast from the outside. In the retroperitoneum, the two most common subtypes are liposarcoma and leiomyosarcoma, cancers that originate from fat and smooth muscle, respectively. These two can have very different behaviors. Even within the most common subtype, liposarcoma, patients can have tumors that range from slow growing, without the capability to spread, to those that are infiltrating, aggressive and rapidly spreading. Understanding these differences affects our approach to treatment, including, for example, how extensive to be with surgery or whether to give chemotherapy. Knowing the beast on the inside through research. In an ideal world, every tumor removed from surgery would be literally dissected to study the tumor on a microscopic level to learn about the cells and how they function, are organized, and interact with one another, and, most important, if there are any “weak spots” that can be exploited for treatment purposes. I also believe that we should focus on not just the bad cells (cancer) but also the good ones (immune cells) that actually make it into and reside in the tumor itself. Given the large tumor size, there is certainly more than enough material to study! Working with others to fight the beast. Last year, I had the unique opportunity to do retroperitoneal sarcoma surgery with colleagues in Milan, Italy, at one of the largest specialty centers in the world for this rare cancer. For me, this was a wonderful professional experience and continues to be rewarding to this day, as we continue to learn from each other, share experiences and discuss ways to potentially incorporate new research findings to optimize treatment. In fact, in the spirit of collaboration, the Milan sarcoma group has played a central role in the recent development of an international group of surgeons dedicated to improving outcomes for patients with retroperitoneal sarcoma. Our mutual goal — “Non segni di recidiva malattia,” which means “No signs of disease recurrence” — is posted on my office wall in Los Angeles to give me inspiration. I think about retroperitoneal sarcoma on a daily basis, even when I am not face-to-face with the tumor in the operating room. For such a rare and challenging disease, this dedication is arguably necessary; I would imagine for patients affected by this disease, it is also frequently on their minds. I am optimistic that together, with others across the country and around the world dedicated to retroperitoneal sarcoma, we will continue to make progress in the fight against this beast. 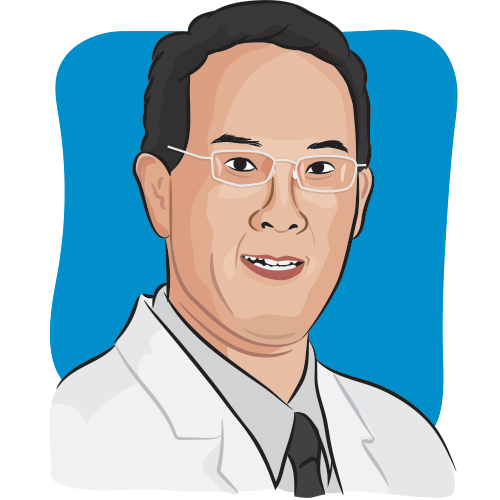 William Tseng, M.D., is a surgical oncologist at the University of Southern California. He treats patients with adult soft tissue sarcomas of any body location, including the retroperitoneum. He also has a specific research interest in liposarcoma, a subset of these tumors. Tseng has contributed numerous scientific and medical articles, as well as several patientcentered resources.